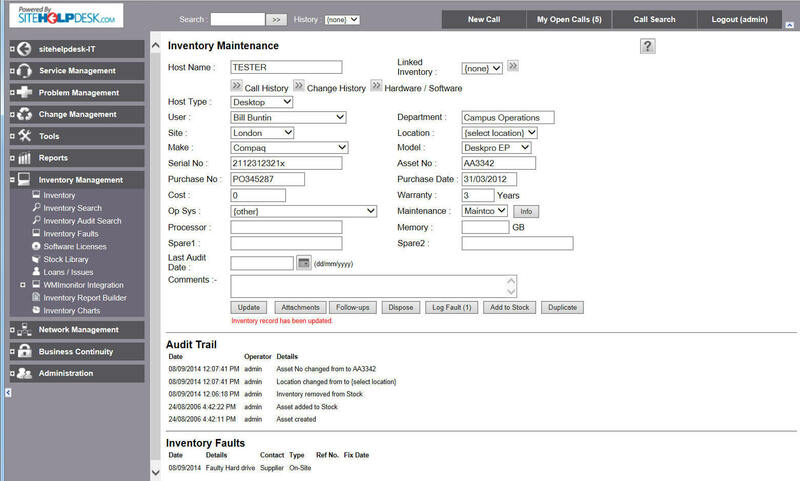 Comprehensive records on inventory available direct from a support call ensures up to date informaiton for analysis and to keep track of assets. Screen forms tailored to asset types to ensure relevant information is maintained without cluttering the system. Full audit trails of movements. Features for external support logging, maintenance contracts, physical audits, loan management and more. Integrates with leading Asset Managment tools such as SCCM (SMS) and our own WMImonitor for up to date detailed configuration management.